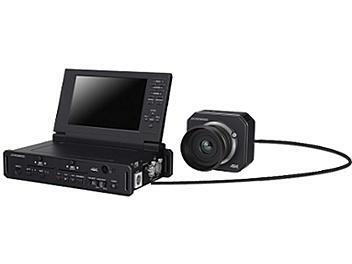 JVC's 4K mini camera produces 4K or HD video from its Super 35mm, 13.6MP CMOS sensor. The GW-SPLS1-light and compact can be used for mounting on an unmanned aerial vehicle (UAV) with broadcast-quality 4K video. Can shoot in both DCI 4096 x 2160 and UHD 3840 x 2160 resolutions for cinema or television, respectively, at frame rates up to 60 fps. Camera is ideal for production, sports, medical and scientific applications when mounted on JVC's gimbal platform.